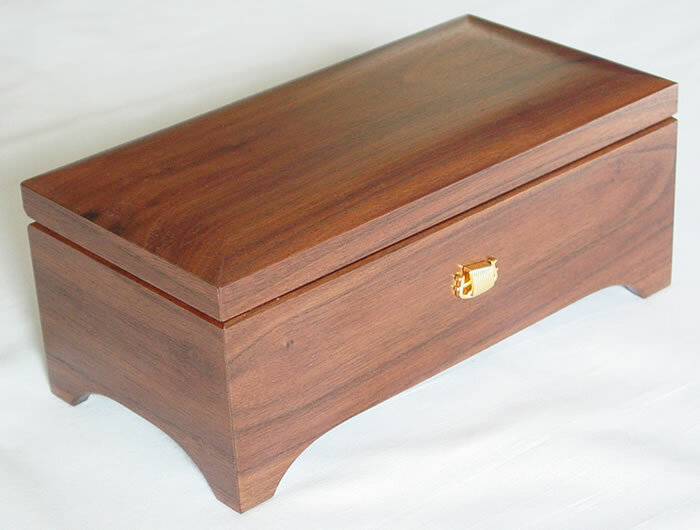 This Sweet Walnut Music Box has a warm, inviting look and feel which complements any 50 Note Tune you may choose for it. 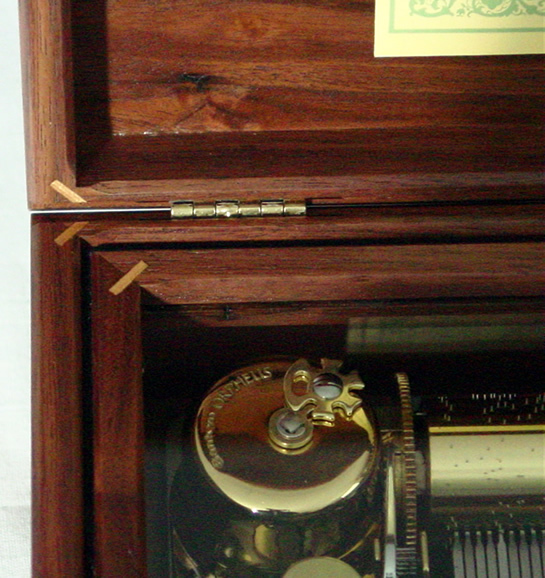 This music box has the effect of fresh homemade cookies right out of the oven. 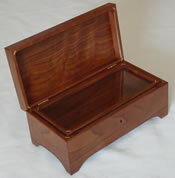 The rich resonance, elegant design and truly fine craftsmanship are delightful. 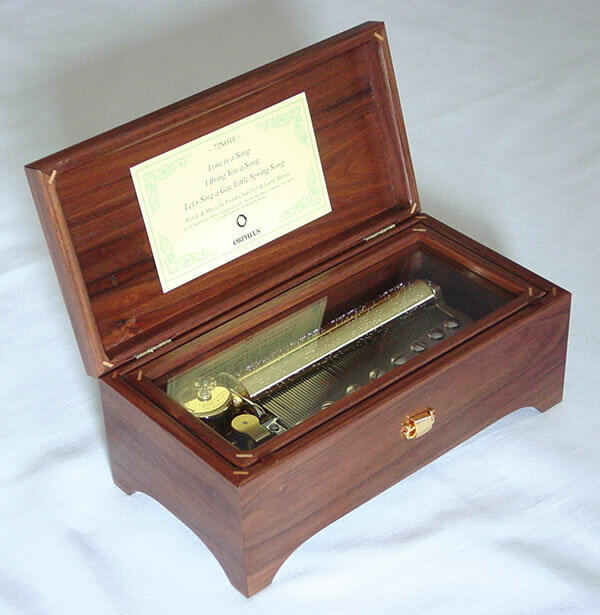 Including the 50 note movement you choose, your total price for the Sweet Sweet Walnut Music Box could be $650.